Welsh whisky is mainly known from Penderyn. 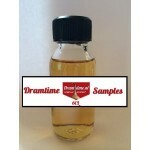 Just like in Scotland whisky was already distilled in Wales since the medieval ages. The Penderyn Celt is a Wales single malt finished in ex peated casks. It was bottled at 41% ABV, .. 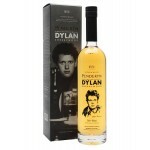 The Penderyn Icons of Wales Dylan Thomas is the third release in the Icons of Wales series. A rel.. The Penderyn Legend is a Welsh single malt. It initially matured in bourbon casks followed by a f.. 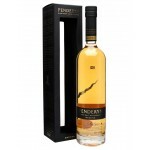 The Penderyn Madeira is a Welsh single malt matured in bourbon casks followed by a finish in ex M.. 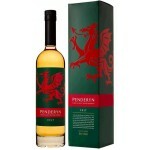 The Penderyn Myth is a Welsh single malt fully matured in ex bourbon casks. It was bottled at 41%.. 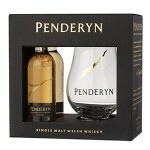 The Penderyn Peated Edition is a yearly release of 5000 bottles peated Welsh whisky. It matured i.. The Penderyn Portwood is a Welsh single malt, first matured in ex bourbon casks followed by a fin..